Barbara Kolm holds degrees in business studies and economics, she serves as CEO in private enterprises as well as NGOs and is constantly doing academic research and lecturing at universities, also as Professor in Austrian Economics at the University Donja Gorica. Main fields of her academic work are efficiency processes, financial and legal foundations of administrative and state institutions – on regional, national and supranational level. Kolm publishes economic analyses, provides expertise on national, state and municipal budgets, is a consultant for structural reforms and best practices. 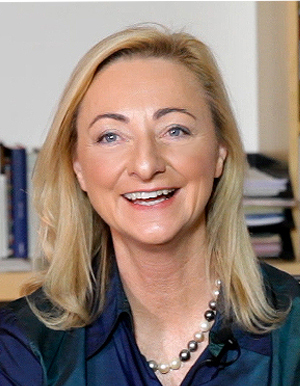 Barbara Kolm is founding director of the Austrian Economics Center and also serves as President of the Friedrich A. v. Hayek Institut, both think tanks with international outreach are dedicated to the Austrian School of Economics and the promotion of individual freedom, responsibility and prosperity. Barbara is a frequent speaker at international conferences, national and international TV and board member of several economic and academic associations, as the Association of Private Enterprise Education, the Austrian Federal Chamber of Commerce and is the president of the board of advisors of CAMP for ZEDE in Honduras.